There are any number of ways to approach field recordings, of course, but one thing that will pretty much instantly predispose me toward a favorable stance is when the recordist documents an event, start to finish, without notable post-sculpting, simply presents the experience. This is what DeLaurenti does on this fine, immersive work. The cooling tower in Satsop, Washington was one of two, part of a nuclear power station begun in 1982 but never completed, left abandoned for 25 years. DeLaurenti wanders through the water supply tubes from, I think, one side of the structure to the other. The ultra-thick concrete and smooth, regular nature of the tubes are one source of sound-enhancement but the various irregularities encountered, from small rooms to old trash and boxes to the clear evidence of water on the floor, serve to provide endless layers of detail and elaboration. As does the general background hum, a hum that often seems like a subdued roar. DeLaurenti mentions that the exterior site is a very small town but you have the impression, doubtless amplified by the structure, of vast, swirling highways or streams of energy coursing through the parabolic surfaces. Echoing bangs and whangs are possibly the result of the recordist tossing hard items into the dark, ghostly punctuation. He walks until he's finished, his soggy footsteps trailing out to the open air, the listeners' lives having been subtly enriched by his passage. 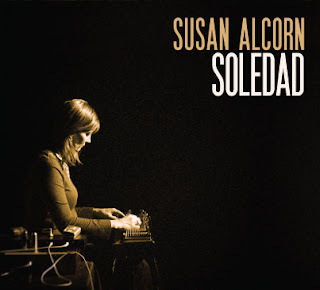 A recording of improvisations for pedal steel guitar (Alcorn) (and bass, Michael Formanek, on one track) on the music of Astor Piazzolla, again save for that one piece, composed by Alcorn. My experience with Piazzolla's music derives largely from the recordings that began surfacing on the American Clave label in the mid 80s, as well as seeing the concert in Central Park that also saw release. I loved it very much and still do, though I have no real working knowledge of tango as such and have never deeply investigated the genre. Which is all to say that, even if I've previously heard the four compositions presented here--and I do recognize a good bit--I don't "know" them and am approaching this recording on a much more naive level. For that matter, I've only heard Alcorn on a handful of occasions at which times the music has nestled in a decidedly more free jazz/improv area than the sounds heard here. That said, this is a largely gorgeous recording. With her own playing, as heard on "Suite for AHL", I hear her coming out of a kind of Hans Reichel/Fred Frith area, producing tones I tend to think of as "globular", free but with no aversion to implied rhythms or hazy tonalities. This approach is a fine match for tango, at least Piazzolla's idea of same, which combines both an incredible sense of languor with ferocious sharpness and acerbity, the perfumed rose lying in the cigarette-strewn gutter. The title track sets the tone with gentle but crisply struck chords, luminous but containing shadows, the melody beautifully stated, clear but immediately leaving room for expansion. She keeps to the basic tango melodic structure yet always allows for a certain haze, a tonal ambiguity that I find to be an excellent complement to Piazzolla's conception, never pushing it arbitrarily into atonal free playing. It's likely my favorite track here not only for those reasons but also for its relative concision; elsewhere, on occasion, things linger on a slight bit long. "Invierno Porteño" allows for a bit more diffuse spread into scattered attacks but, again, Alcorn only avails herself of it from time to time, just an added flavor and an acknowledgement of the possibility, remaining in slow to medium-slow tempi, keeping things suitably dark, even interpolating a bit of Bach (?) --can't recall if that was in the original. Piazzolla's "Adiós Nonino", written on the death of his father, is treated similarly though making greater use of rich hums, creating wonderful pools of sound out of which will sometimes emerge delicate cadences or a surprisingly straightforward expression of a theme. Alcorn's suite keeps with the sensibility of the rest of the disc, Formanek contributing with strength and imagination, Alcorn taking the opportunity to offer a few freer forays while also writing themes only tangentially related to tango and quite attractive on their own terms. 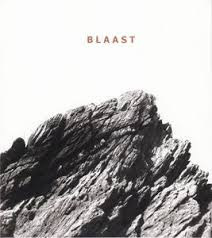 The concluding piece, "Tristezas de in Doble A" is the one that, at moments, drags a little bit for me, the languidness threatening to overwhelm, Alcorn on occasion venturing perilously close to Frisell territory. But it's a minor quibble. I've no idea how fans of Alcorn will react to this offering but think that Piazzolla aficionados will receive a huge amount of enjoyment. Recommended. A quartet with Wooley (trumpet), Ingrid Laubrock (saxophones, flute), Matt Moran (vibes) and Sylvie Courvosier (piano). I was expecting to hear more of a Braxton vibe here (he's thanked and the recoding was done at the Tri-Centric Foundation Festival at Roulette) and you can pick up tinges not and then but, to Wooley's credit, there's little of direct import although the Braxtonian conception, I'm sure, had a part to play in this music's development. If anything, I found myself thinking more often of Leo Smith as well as detecting subtle nods to minimalist traditions but overall, it's very Wooley. 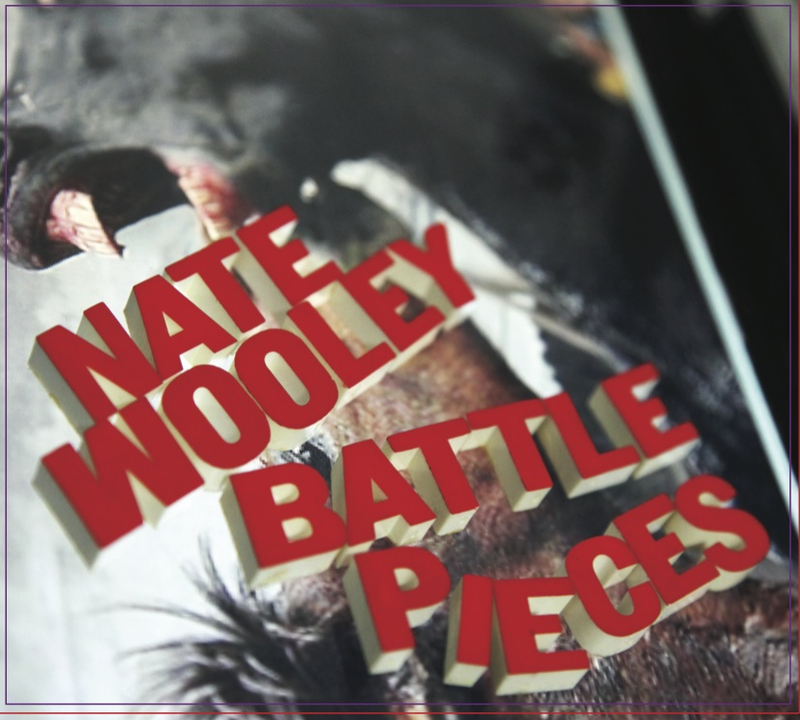 The seven tracks alternate "Battle Pieces" (I-IV) and "Deconstruction" (I-III), the latter worked up from tapes of Battle Pieces material. There are sections for solo and duo improvisation scattered throughout and one has the vague sense of some sort of scaffolding holding things together, the solos curling out like tendrils from the latticework. I'd be curious to see the score. Where I find the structure, obscure though it is (to me) intriguing, apart from Wooley himself, I find the language employed by the musicians involved to be somewhat less so. I'm guessing a bit, but I think the moments I find more enjoyable are those penned by Wooley. Where it seems clear we're dealing with improvisation, Laubrock (with traces of Mingus-era Dolphy occasionally emerging), Moran and Courvosier are more than competent but settle in to the sort of phrasing and construction that, for me, has been all too commonly heard over, say, the past 20 years. Again, by no means bad, just unexciting and really non-dangerous. Moran does often use enough distortion to render unto his vibes an old Fender-Rhodes kind of feel, which is welcome. Listeners more attuned to the current avant-jazz scene, particularly that around the compositional axis, will entirely disregard my concerns. Myself, I get the most reward when listening as a kind of chamber music, stepping back enough to appreciate the structure while trying to block out aspects of the individual contributions. In that case, there's much beauty to be found as well as several surprising resolutions that cause one to re-examine what occurred before. Im wondering if this is performed with varying ensembles--could be very interesting. Still, as is, well worth hearing and a notable addition to Wooley's ever-growing canon. A searing set from Costa Monteiro, credited with accordion and objects but generating sounds it's hard to imagine not incorporating bows, electronic, etc., but that's how he does on his axe of choice. It starts with keening overtones arriving in harshly shimmering waves, gradually drops into "standard" accordion range/pitch (though augmented with a sputtering gargle and other noises), maintaining the drone consistency but fluctuating mightily. Not so dissimilar in basic form to the his just previously reviewed collaboration with Lali Barrière but the acoustic nature of the sound production necessarily allows for more air, particulate matter and other irregularities that help to sustain extreme interest. The long winding-down process, beginning with a fantastic bellows-like section, is expertly handled, a gradual loss of respiratory functions, settling into a thin whistle. 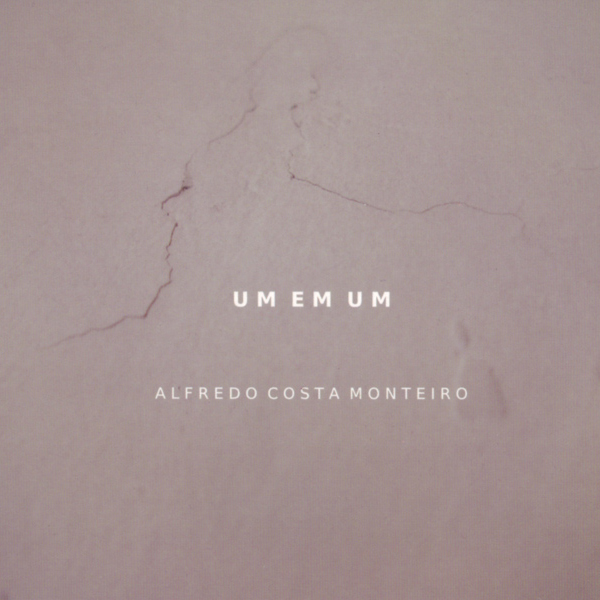 Very strong work, one of my favorite releases from Costa Monteiro. I'm not quite sure about the provenance here. This was originally issued as a cassette by Catsun, a sub-label of Monotype, whose site lists it as sold out. But this seems to be a joint Catsun/Monotype release, complete with new sleeve, though I couldn't locate it on the Monotype site. In any case, we have a set of propulsive, often burbling electronics, synth-y streams (as is likely too often the case, I'm reminded of old Roger Powell tracks, e.g. 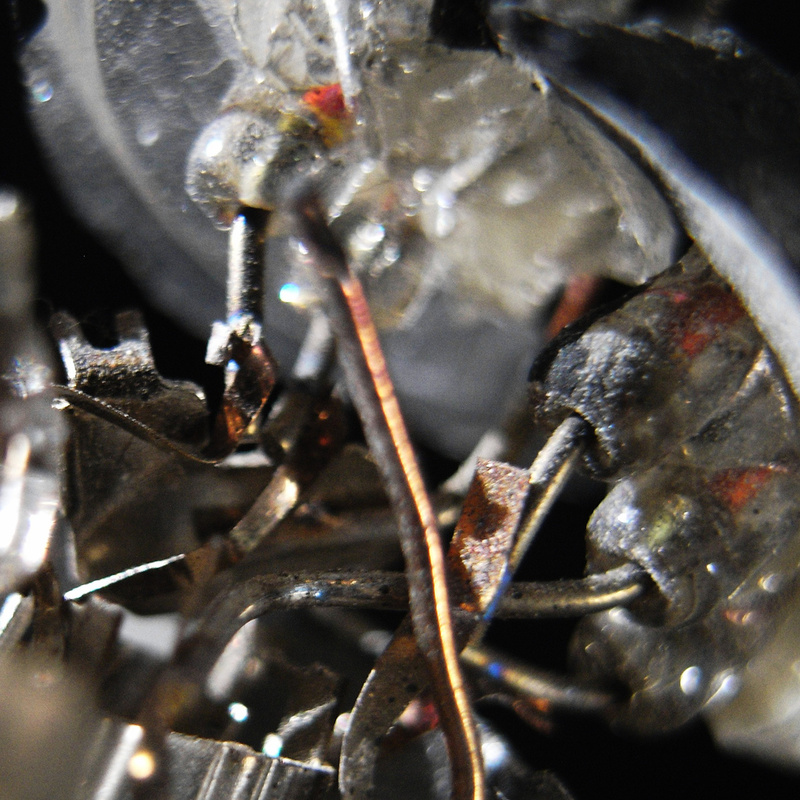 "Cosmic Furnace") offset by crystalline percussive clatter and breathy sounds. Thrums proliferate, coastal birds appear, soon joined by more rhythms, a kind of Jon Hassell/Fourth World bit of action--very attractive, actually. The album continues in this vein, those kind of rhythms, vaguely tropical (Hector Zazou also springs to mind) but also decidedly Western, some loopy synth, the occasional pastoral interlude with flutes, bells and birds. I hate to say it but I challenge anyone to listen to "Swamp 2" and not think of "Evening Star". 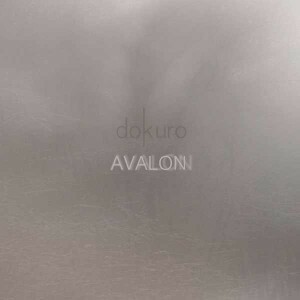 A quirky release but engaging enough if the sort of synth-rhythms described above appeal to you. 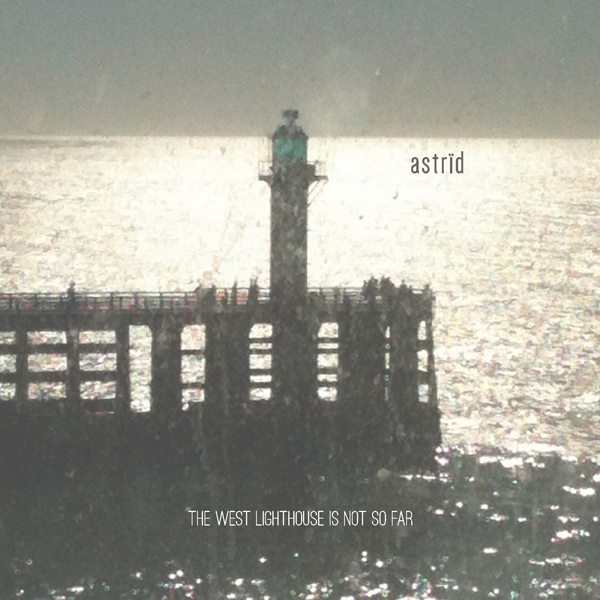 Astrïd is: Vanina Andréani (violin, juno, rhodes, crumar, harmonium, metallophone[Junos and Crumars are electric keyboards, I believe]), Yvan Ros (drums, rhodes, harmonium, metallophone), Cyril Secq (guitars, bowed guitars, juno, piano, charango, harmonium) and Guillaume Wickel (clarinets, rhodes, harmonium, saxophone). All those harmoniums! They're been around, at least as a duo of Ros and Secq, since 1997 but this is my first encounter with their work. Well, I'm not sure if it's a good thing that one's initial impression is of someone else's music but it's often tough to avoid. Here, Loren Connors rings out loud and clear, the clear, mournful, bluesy guitar over an organ-like bed of tones and free percussion. There's also, led by the mordant violin, a kind of Godspeed vibe, though a shade or two lighter and more polished, the latter not necessarily a good thing. Indeed, the arrangements are well-crafted enough and there are the requisite daubs of world music accents that this cold have appeared on Nonesuch in the 90s and received a good bit of airplay on NPR. Nice, somber colors throughout but too precious by half for my taste; it will certainly appeal to the darker fringes of the Frisell contingent. 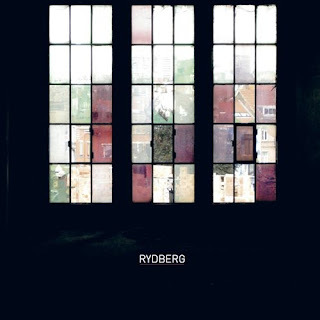 Rydberg, I discovered, was a Swedish physicist who has both a highly regarded constant and a moon crater named for him. Here, it's the duo of Nicholas Bussmann (sampler, electronics) and Werner Dafeldecker (function generator, electronics). The first of three tracks, "Elevator", starts ingratiatingly enough, gentle faux-cello strums in an ambient soundscape, soon infiltrated by slow beats, which make for a kind of duet with that "cello", rather plaintive and attractive, slowly bleeding out into a hazier space, the beats still there but dissolving a bit. It's a lovely, complex location with much "minor" activity occurring--think a less fussy Radian. "Gardening" is a little jauntier, again, as in some of the music from Mirt, striking me as relating to investigations begun long ago by Jon Hassell. There's an interesting kind of discretion in play, the pair laying back, issuing new lines unaggressively (another sampled cello, if I'm not mistaken), allowing the steady but unplodding beat to absorb the various elements in stride, though it overstays its welcome a tad. In the final track, "And the Science", everything is given over to the beat and, to my ears, a pretty dull one, oppressively regular with tiresome synthed sock cymbals; the ornamentation with squelches and static can only do so much. It's very well produced, sounds great and has its charms but, obviously, will appeal to those who have more tolerance for regular beats than I do. Another duo, here with Agnes Szelag (electric cello, voice, electronics) and The Norman Conquest (synthesizers, sound manipulation). Szelag was part of a fine release with Jason Hoopes a couple of years back though I hadn't been too taken by what I'd previously heard from, um, Mr. Conquest. 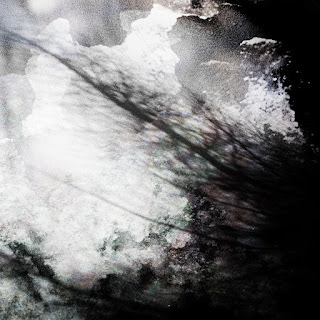 Fifteen tracks, not quite all of a piece but certainly sharing a general mode of attack: clouds of synth--hazy, ringing, growling--, darkly melodic cello lines, ethereal vocals hovering. Dark, intricate gauze, but gauze all the same. At its harshest (cuts like "23"), the pair approximates a pretty tame Galas. 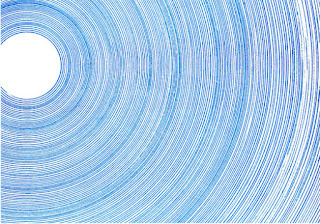 Rhythms surface intermittently, but never with any interest. Not my cuppa by any means. 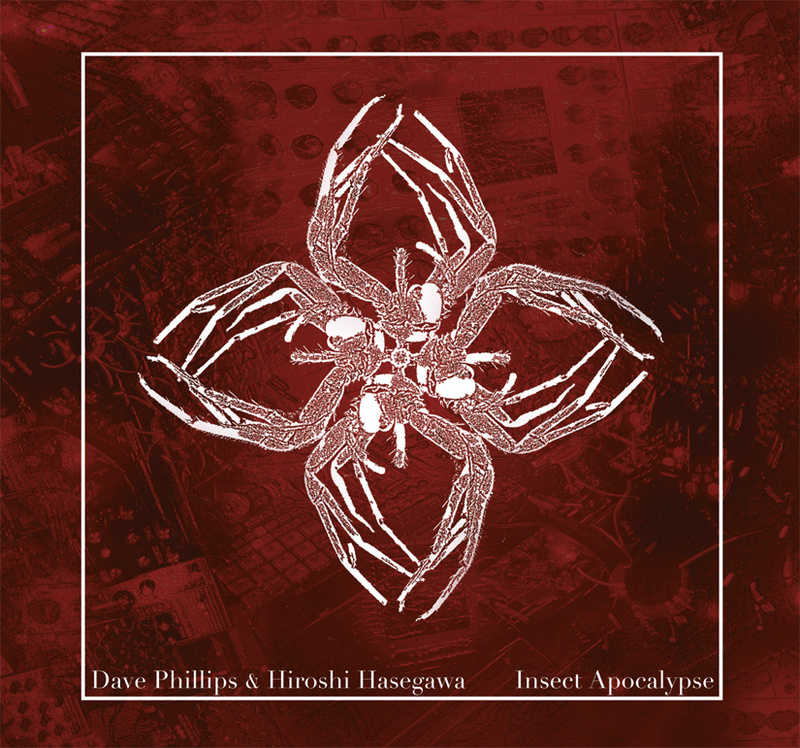 Six tracks from Phillips (field recordings from various jungles) and Hasegawa (filters, effects). 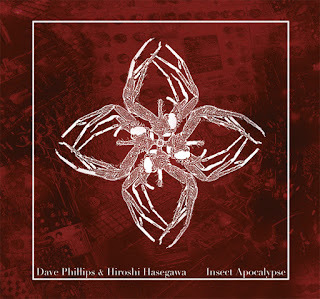 I haven't been all that crazy about what (little) I've heard from Phillips in the past and I'm not sure if this isn't my first exposure to Hasegawa. 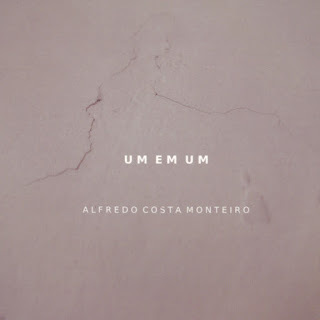 Perhaps it's in relation to the previous releases in this review (with the exception of the excellent Costa Monteiro), but the music herein struck these ears as positively refreshing in context. The tapes are wielded imaginatively and with some degree of abandon, the interactions occurring in unexpected sequences, the noises themselves of reasonable interest. The insectile and other sources can be discerned lurking though they're all but buried in the dusty swirl. Pulses emerge now and then but don't overwhelm, approaches vary from engagingly assaultive to eerily subdued. A nice job finessing the field recording/soundscape divide, with less harshness than I might have expected but a lot of finely sifted grit. Worth hearing. This one is presented me with some problems early on. 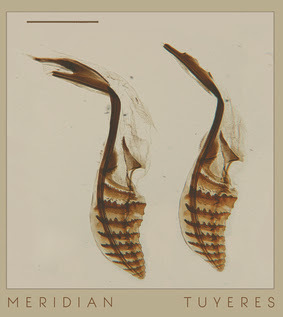 Meridian is a percussion trio with Tim Feeney, N. Hennies and Greg Stuart, all of whom have provided me with great amounts of aural pleasure in the past. There are three tracks, lasting about 20, 15 and 7 minutes and, although I assume they possess at least a minimum of pre-conceived structure, no compositional credits are given. Also, the second work feeds directly into the third, despite the track differentiation. Even though there are often spaces of (near) silence between sections, on first listen I had the odd impression that a lot of it was improvised; the structure didn't leap out at me. After multiple listens, my guess is that the trio was going for a chaos vs. order dynamic, erecting a framework then (often) filling it in with masses of irregular, thorny and amorphous sounds. I could be wrong. I could also ask but I generally prefer not to. (This subject came up last week speaking with Jürg Frey and we agreed on the preference of simply reacting to what one hears without necessarily--at least for the moment--learning any unprovided details). If the pieces are, in fact, something on the order of time-bracket works, I suppose the question resolves around the choices made (depending on latitude given) by the musicians. I'll further stick my neck out and guess that there was some degree of intent to go, for lack of a better term, beyond typical Wandelweiser tendencies, that is, to generally eschew the pared-down in deference to the tumultuous and difficult-to-isolate. So, for example, early on in the first track there's a complex rattle (perhaps sticks and other detritus on drum head? but also some watery sounds) alongside a dry, high whistling tone, all presented at substantial volume, linear in a sense but chaotic within that linearity. A severe thwack appears on its own, a drumroll commences. Often a regular component will serve to offset one or more woolier ones. There's an incredible sequence right near the end of the first track, an amazingly complex, off-kilter clatter. These "steps", so to speak, or movements sometimes strike me as borderline random; Curious to discover if any sort of system was involved. At the conclusion of the first piece, I'm left both invigorated by much of the content, a little dissatisfied with the overall form, though I suspect that's due to more to my inability to grasp than anything else. The next piece has a different character, at first playing three very separate rhythmic or quasi-rhythmic figures off one another: a steady tom-tom roll, an insistent dry tap and some slightly askew rim hits (I think). Again, it's unsettling in a way; you expect things to cohere but they refuse to do so, instead lighting out on their own trajectories, until one final *smack* ends that chapter. Broadly speaking, this approach continues in the following section, the individual elements varying, but then it splays out into an all rubbed/bowed area, sounding like a nest of Prévosts, eventually erupting in a squall of shrieks, bangs, harsh, loud rasps and grinding, resistant clicks. It might be great; I have a feeling I'll figure it out in time. Right now, I'm weirdly both baffled and awed. Some of these sounds, plus a bizarrely out of context snare roll, merge into the final track, the music soon melting into a lovely, rubbery thrum (no idea how achieved), the trio coursing through this territory, sounding like rapids, before shuddering to a halt. I'm pretty much won over, though I'm sure there's more for me to ferret out an appreciate here. Not at all what I would have expected, always a refreshing thing. Do give a listen. Another bit of unexpectedness as we find old favorites Lali Barrière and Alfredo Costa Monteiro wielding synthesizers instead of trumpets, accordions, turntables, paper, etc. A dystopic essay, "repeated gestures in a decaying factory, empty ritual for a globalized reverie", using field recordings taped in Xinzhuang, Taiwan. Dauby does an excellent job, conjuring up a bleak but endlessly detailed, claustrophobic world, where events materialize subtly, gaining power before you're aware of it it. Nothing is too spectacular, the sounds brewing for a good while, assuming prominence, burning or rotting away. 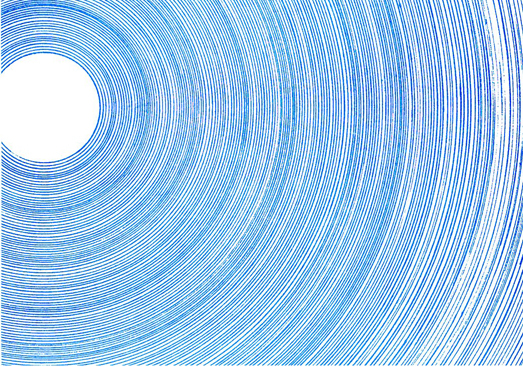 Theres an overtone-rich hum on occasion that sounds like a ghost-choir of Tuvan singers. Gradually, sounds one might normally associate with factories intrude, though murky and ill-defined, as though smothered in wool: repetitive, banging, mutedly clinking. It passes through a more watery phase, equally desolate and beautiful before concluding with a sequence soft ringing tones, bell signals heard through an acidic haze, Exceedingly well-crafted and through out, an excellent, subtly frightening soundscape. Dauby treads far different territory on this release--two tracks, the first recorded in a lignite mine in Vescagne (inactive), the second on an Alpine mountain, Caïre Archas. "Lignite" is mysterious while also being rather luminous and transparent, bearing a number of surprisingly "musical" sounds, zither-like strums and resonant, warm booms. Clearly composed and, I imagine, processing the field recordings a good bit (I could be wrong), it works very well, calm but with a subtly disturbing undercurrent, as though Dauby is disturbing an area that would rather be left on its own. The second cut is full of air, ice and snow, very much outdoors, with crows cawing, snow crunching, wind flowing...as well as distant engines. The presumably electronically-produced drones add quite a bit of drama to the central section of the work. When they dissipate, leaving behind its echo and a wash of liquids, the effect is somehow very magical. It ends with several minutes of...I'm not sure, except it sounds like someone slogging through heavy, packed snow, deep in a crevice. Both pieces are very strong, really well designed and realized of this type. I always find it especially exciting when a musician understands that some previous worked had opened up numerous potential pathways and acts creatively upon this discovery, which is what has occurred here. 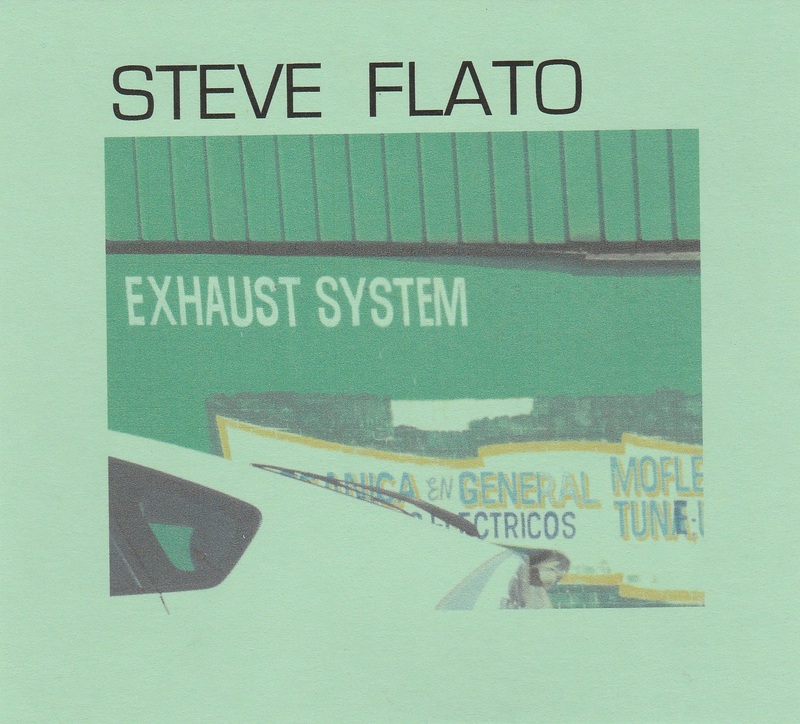 Using Alvin Lucier's classic, "I Am Sitting in a Room" as a starting point, Flato expands out from some of its basic ideas (not merely imitating certain particulars) and has formed a marvelous, immersive and entirely engaging piece of music. In Exhaust System, each instrument is on its own timeline. The process, instead of linearly like Lucier, works backwards, from the middle, going 2x speed, half speed, etc and through different permutations. This creates a counterpoint between the instruments texturally and harmonically. Additionally, all the “swelling” notes played by the instruments was done so through a Reaktor script that randomized when these swelling events would happen. The effect is a shimmering, pulsating wave of sonorities that moves and changes so slowly that you can’t quite perceive any differentiation. The tonality is deep and rich, those "swells" emerging and receding in a constant, slow flux, the specific interactions and overlappings always shifting. Flato also cites Terry Riley's "Persian Surgery Dervishes" and yes, that feeling is in the air as well. The thickness of the sonic plies varies throughout--dense here, thinner there, and the contrast between acoustic and electronic elements is always in evidence, the latter often providing a wonderful, icy, even alien shimmer to offset the ultra-warm and cozy reeds and strings. It's decidedly a process piece, simply allowed to unfurl, though the randomizing effect keeps one guessing a bit more than, say, the Lucier work, where the listener has a general idea of the direction of the gradual decay. The journey is a joy, endlessly blooming variations on a theme. 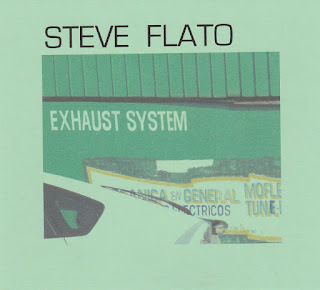 Quite a surprise from Flato, at least insofar as my knowledge of his earlier work led me to believe, but a very welcome one. An impressive suite of six pieces for prepared piano, inspired by the legend of Percht, a pagan goddess of the Alpine regions. 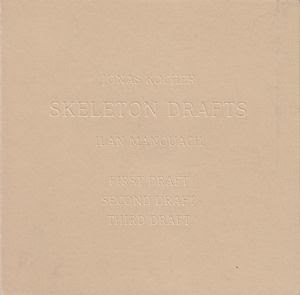 Four of the six tracks involve propulsive rhythmic work while two are more serene. 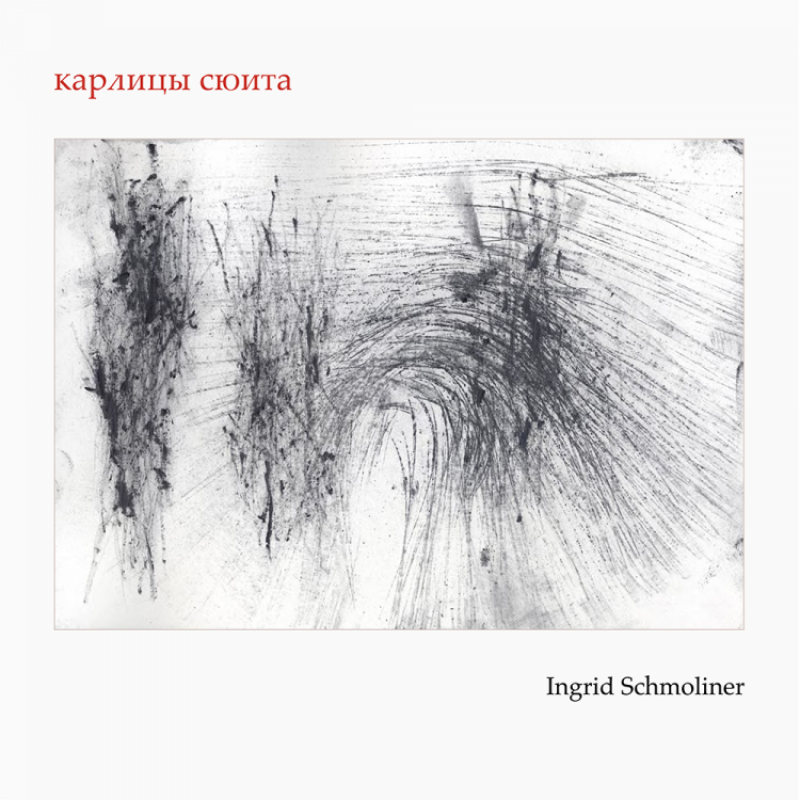 The preparations she uses seem to be not uncommon--a couple of the pieces remind me of Cages "Dances for Piano", but with more driving force, less gamelan (though that tonality is heard on "grul") and one track, "Бaбa-Яra", is remarkably reminiscent of the main spine from Rzewski's "Winnsboro Cotton Mill Blues"--but Schmoliner has a fine sense of restricted color. I often found myself thinking of strong charcoal drawings with just hints of umber or ocher, something in the Kiefer range. She tends to set a pace, sometimes verging on the relentless (but not overly crowded) then seeds it with these delicate offshoots, dabs of sound that are gone before you know it like enticing images glimpsed from a hurtling train. On "Balaena mysticetus", presumably an homage to whale song, she bows the strings with great sensitivity, summoning wonderful waving moans while on "Teadin", she makes effective use of e-bow. Otherwise, it's full steam ahead, no looking back. 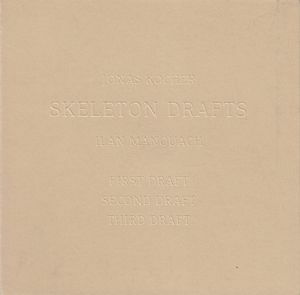 A solid, imaginative and finely performed recording--I'm eager to hear more from Schmoliner. 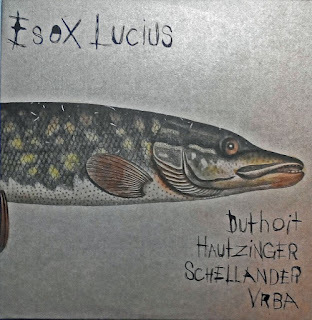 A quartet (Duthoit, clarinet, voice; Hautzinger, quartertone trumpet; Schellander, modular synth; Vrba, trumpet, vibrating speakers) operating on that border between eai and free improv with more of a tendency toward the latter insofar as a relative lack of concern with aspects of silence or the inherent quality of a given sound and more concerned with maintaining a kind of conversational approach. They skirt a more abstract area on sections of pieces like "Check Radio" with its layers of soft static-like sheets and low burbles, clanks and wheezes form the horns but by and large, they adopt a more active, bristling attack, everyone almost always contributing. Even with the synth, one gets the impression of a horn quartet of sorts, which is a rather interesting way to listen. 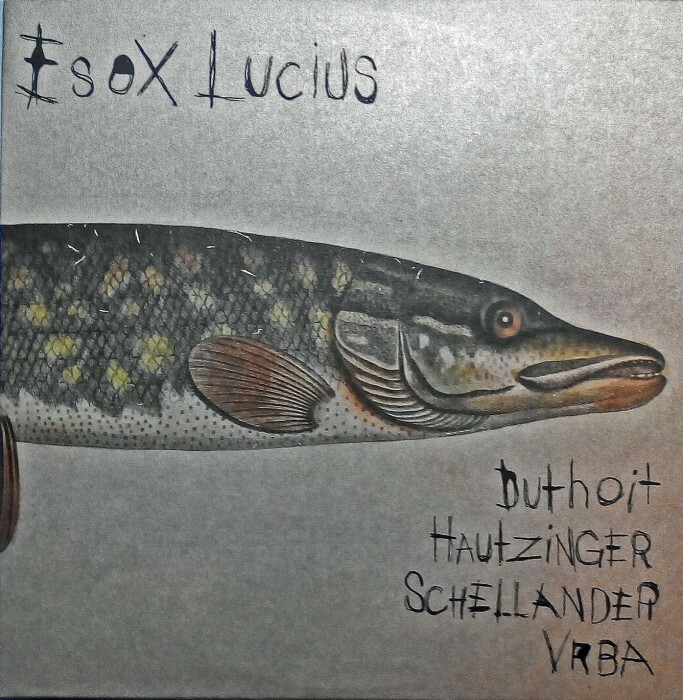 The dynamics remain fairly quiet throughout and the surface is resolutely active and prickly, the synth echoing the sort of goose-bumpy sounds that Hautzinger likes to generate. What they do, they do very well although it's not something that intrigues me so much, more interesting sound creation, less any overall conception of note that I can discern. Mileage, of course, varies. 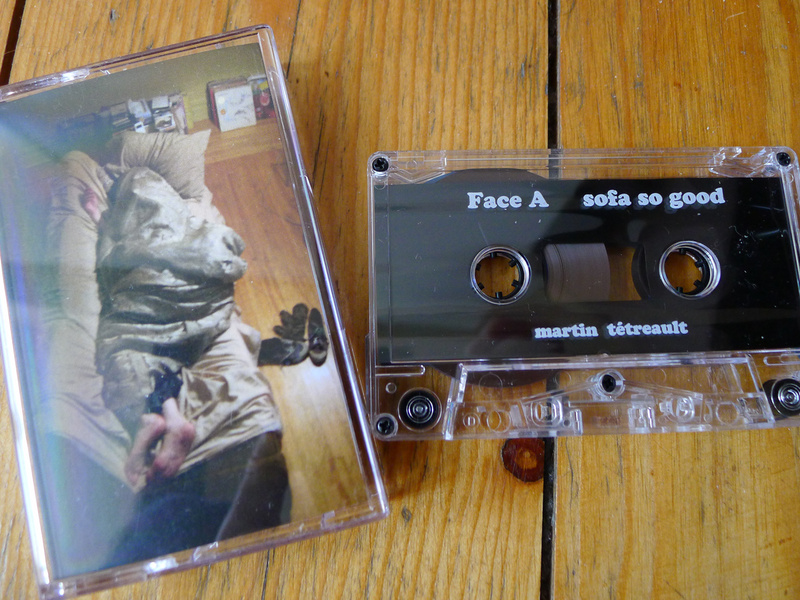 A one-sided cassette release (Side B left open for the listener's own use), reviewed via CDr. Though I've heard Tétreault's work for a long time, at least since his releases on Ambiance Magnétiques in the mid-90s, I've never followed it very closely, so doubtless have an incomplete notion with regard to the span of his sound. I've tended to think of it as very active, rapid-fire turntabling but I'm guessing that's a mistaken or at least incomplete conception. That said, I've no idea if the sounds heard here are even partially representative of his work, being both long-form and fairly smooth. Vinyl is definitely used though perhaps other electnoics as well, although it's only on occasion that one picks up the telltale clicks and scratches. You're immediately immersed in faded tones that recall fun house or skating rink organs, all warped and hazy, all buried in a morass of subaqueous hum and reverberation. 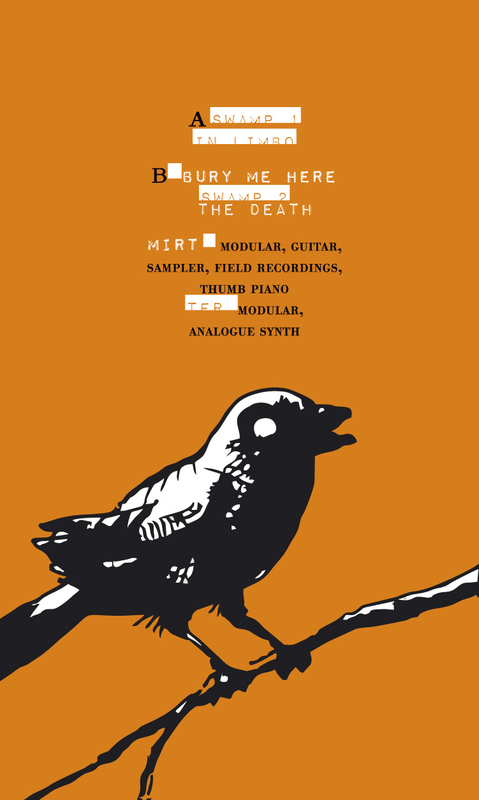 There are some interesting, clipped percussive elements (backwards sounds, I think) that add some grit, some flotsam, but overall it's an attractive kind of murk, if carrying a sarcastic, even silly tone due to the quavering, sonic quality of the organs. Maybe a soupçon of Sun Ra. The music expands and contracts, lurches into a slowly rotating, grinding kind of area about midway through, full of deep washes and thuds, probably my favorite moments. 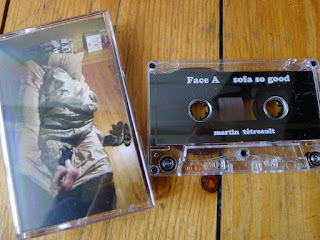 It remains pretty much in pone place, far less frenetic and jittery than most of my previous experience with Tétreault. I don't find it terribly exciting but interesting in that it opened up a new facet of his work for me. So, it's with substantial sadness but, admittedly, no small sense of relief that I'm announcing my virtual retirement from the music reviewing life. As many of you know, Betsy and I are moving back to the US in a couple of months and I'd like to devote much more time to painting and drawing, something that's been difficult given the volume of new music that regularly appears in my mailbox (stuff you actually have to spend time listening to...). It's still really a huge amount of fun (mostly) but there are simply things I'd rather be doing for the time being. I'm sure I'll still write about new releases when the music moves me enough to do so, but I'm putting the kibosh on the routine of reviewing almost everything that comes my way. I'll still be here for a while as I promise to write up the pile of releases currently sitting on my table (20-30 of 'em) as well as any that are already in the mail and happen to trickle in over the next week or so but after that, all bets are off. I'll also look through the d/l items still sitting in my in-box, but make no promises on those. And I'll still keep my oars slightly in the water by doing a few reviews for Squid's Ear. In any case: Please stop sending me music! There will be no one here to receive them in a couple of months anyway (no forwarding Paris to US is going to happen) but I'd appreciate it if the mail ceases quickly. I can't say enough how thankful and touched I am that so many musicians, labels and listeners have steered things my way over the years. Thank you, thank you. It's been wonderful experiencing music I'd never otherwise have had the opportunity to hear and the greater part of my regret in closing up shop is the nagging feeling I know will surface regularly that I'm missing something vital, but so it goes. And I'm always especially moved by the notes I get from readers thanking me for the service I've provided in at least shedding some light on this music--it's the least I could do. Plus there are other excellent, younger writers out there (Ed Howard, Lucas Schleicher and more) who are more than able to pick up some of the slack and probably have sharper ears to boot. Back to the lingering reviews later this week; should last me through the month, at least.